St. Francis of Assisi was an ardent advocate of the doctrine of the indwelling of God in man. It enabled him to love every one equally whatever his status in life. One day he met a fellow who had no love for God. As they walked along they met a man who was blind and paralyzed. St. Francis asked the sightless cripple: Tell me if I were to restore your eyesight and the use of your limbs, would you love me? Ah, replied the beggar, I would not only love you but I would be your slave for the rest of my life. See, said Francis to the man who maintained that he could not love God, this man would love me if I gave him his sight and his health. Why don’t you love God Who created you with eyesight and strong limbs? In the beginning of the Church, it was a Church with a Jewish-Christian perspective - (Only Jewish People belonged.) Then, the Church got broader with Gentile- Greek speaking Christians, or Gentiles. 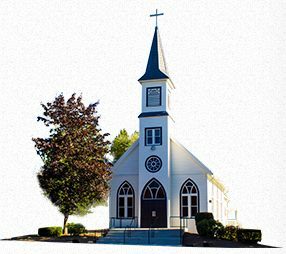 As the Church fanned out, the Church spread the Gospel to all parts of the World… And since Vatican II, we truly believe the Holy Spirit leads the Church. There still will be conflicts but the Spirit guides us through history. In today’s Gospel reading, Jesus has a farewell gift, the gift of peace that overcomes the daily stresses and fears. Jesus in John’s Gospel promises the Holy Spirit to instruct us in everything and to remind us of all he has revealed. The peace Jesus speaks of is not just about the absence of chaos or war, but has multiple meanings. Jesus is expressing his farewell. In your own experience get in touch with your own emotions when you experience farewells. That is the setting of our Gospel today. Jesus is offering a farewell discourse to his friends and followers. His farewell is peace, not just a greeting or a good wish, but a peace that will take real shape in the presence of the Holy Spirit. This presence is a continuation of the actions and promises of Jesus for his disciples, in spite of the fact of his leaving. His departure is not abandonment, but a new indwelling presence, yielding the gift of peace. Jesus expected us to live by the enlightenment of the Living Spirit after he was no longer with them. We too are to welcome our sisters and brothers in the Church and we are called to be inclusive of all people. The first reading is actually very bold. Without any explicit teaching of Jesus, the community was faced with a question about inclusion, and whether Greek converts needed to practice Jewish observances. The decision was bold as they argued that a burden should not be put on the people. It seems like the Spirit is calling us to be more open to women in ministry today, and there are other ways that we can translate the Spirit leading the Church in 2016. We too represent diverse views and needs and interests, yet we are called to be a community seeking the gift of peace and the guidance of the Holy Spirit. The important thing is for us as a parish to continue to grow in hospitality when we gather for worship. The ritual of the Sign of Peace is not intended to be an opportunity to just say hello to others who gather. It presumes we are already united in worship, functioning as the Body of Christ together. We are reminded in the Sign of Peace that we share in Christ and to prayerfully wish one another a full measure of that peace. Some people complain that this ritual distracts them from preparing for communion, but that reflects an inadequate understanding of communion as involving only Jesus and the individual. We are joined in the body of Christ through baptism and we share in the sign of peace as we prepare to be united in communion. This is the last Sunday before we celebrate the feast of the Ascension which we celebrate next weekend. Jesus is saying He will be going away. He is speaking about a Mission he wants to give the disciples. It is no longer his mission, it becomes the Mission of his followers. It is a Mission given also to us. Jesus played his part and now it’s up to us to live with Mission. He sends his Spirit to us. 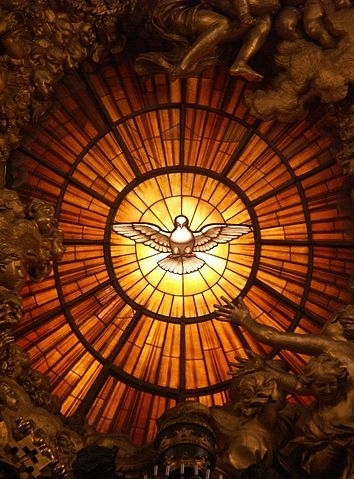 He declares: “This much I have told you while I was still with you; the Paraclete, the Holy Spirit whom the Father will send in my name will instruct you in everything and remind you of all that I told you.” This is a gift to us! He prepares his disciples of a living legacy, guided on Mission by the Paraclete. We have barely begun the Archdiocesan Annual Catholic Appeal and I think it is appropriate to remind ourselves to be responsible. May I ask each of you who have not yet given your donation, to give your gift and contribution to the Appeal this year in gratitude to the Gift of the Holy Spirit. 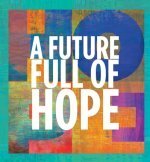 The Annual Catholic Appeal supports the work of parishes and Catholic agencies that promote the gospel message and provides resources to assist the poor and vulnerable, the marginalized and disenfranchised, the uneducated and under educated and those who find themselves in desperate situations. It is an opportunity for Catholics throughout the Archdiocese to join together to express their solidarity with the Church and the Archbishop by making a freewill contribution to help carry on the important work Christ has entrusted to us as God’s stewards. The Jubilee Year of Mercy calls us to do more than the occasional act of charity and service. 1. Seminarians are educated to continue to staff our parishes to provide the sacraments and preach the Gospel for years and generations to come. It costs approximately $19,200 per year for each seminarian. Most men are in the seminary for 6 years before they are ordained to the priesthood. Without support, we would not be able to provide the education for the seminarians and thus continue staffing our parishes with Priests. 2. Your gift shows your thanks for God’s gifts to you by ensuring that Christ’s mission continues in our own day and time. The Annual Catholic Appeal offers an opportunity to show mercy to those in need. 3. Your gift enables the Church to do God’s work throughout the Archdiocese by supporting a variety of programs and services that strengthen parishes and benefit all individuals, including yourself. 4. Your gift fulfills a portion of your responsibility to make the Church what God wants and needs it to be. We are responsible for providing the resources of time, talent and treasure that the Church needs to carry out its mission of salvation for all. Nothing relieves us of this responsibility.